The charm of a traditional cider house with all the comfort. 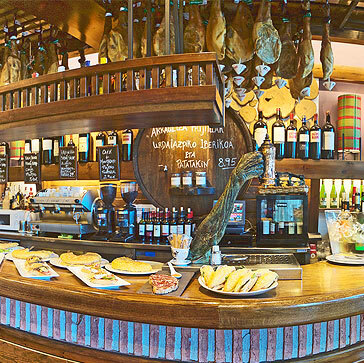 OURS IS TRADITIONAL SAN SEBASTIÁN CUISINE, THE HOME COOKING WE ALL LOVE! A good grill for bone-in steaks and fish, turbot, hake and seasonal menus are the house stamp. 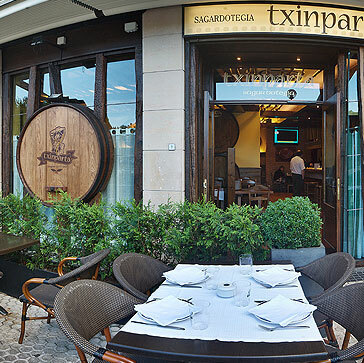 You can also enjoy the best cider-house menu in San Sebastián in a unique atmosphere. family, friends or clients.It’s also the perfect place to have something before or after your meal in a excellent surroundings. 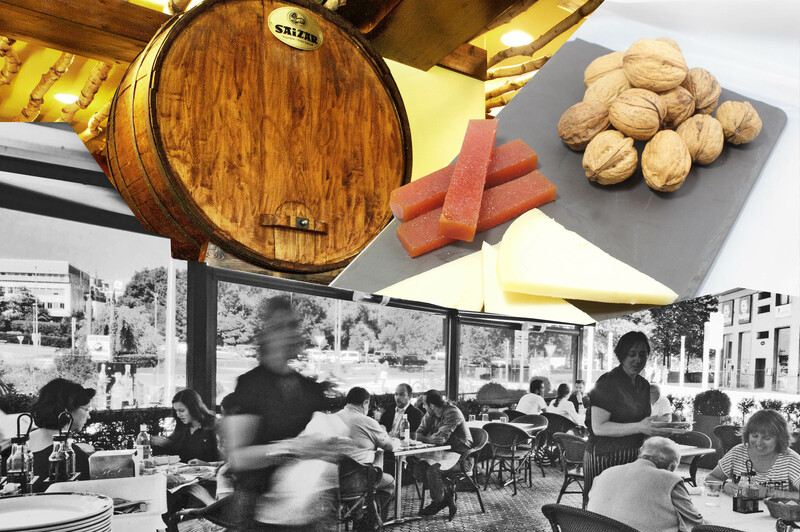 the flavours of San Sebastián, each one better than the last. 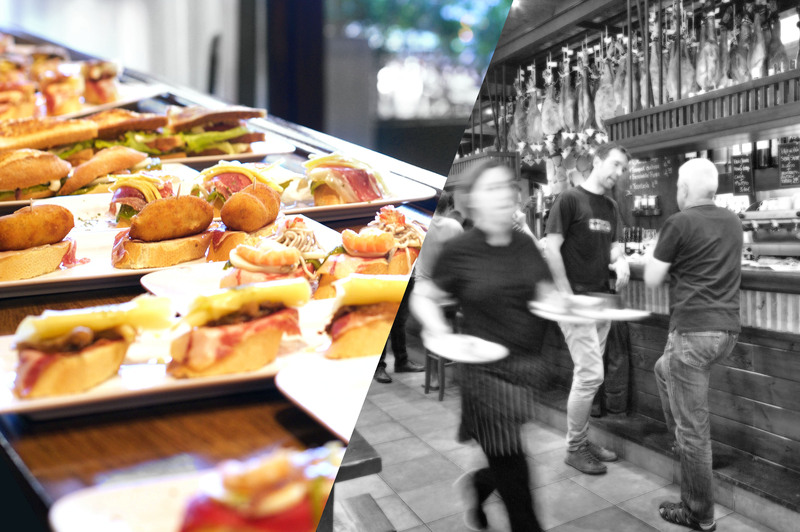 From the most traditional to the most original pintxos,not forgetting all sorts of tortillas for that mid-morning snack. Our dining room has been renovated to become a comfortable, roomy and cosy space where you can enjoy the real traditional cider house atmosphere. 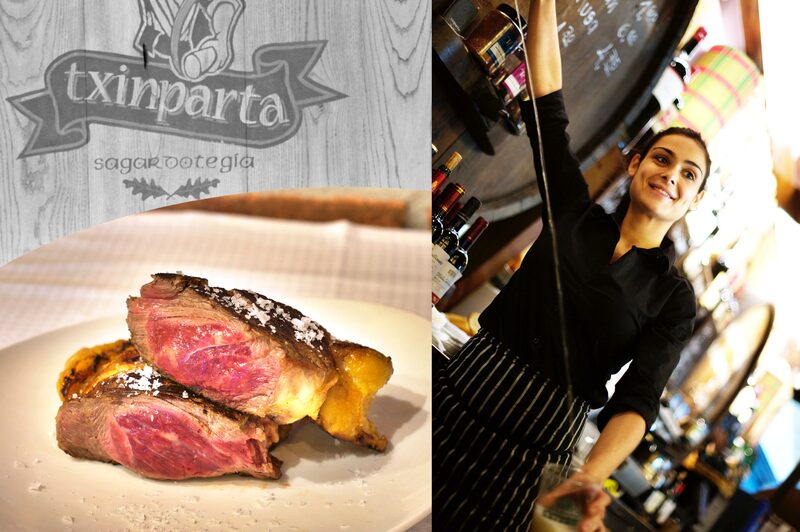 "Both the menu of the day, and the special Txinparta menu, always leave you satisfied. I usually order the bone-in ribeye steak, and I’ve never been disappointed yet. Very good. And there’s a free carpark nearby." 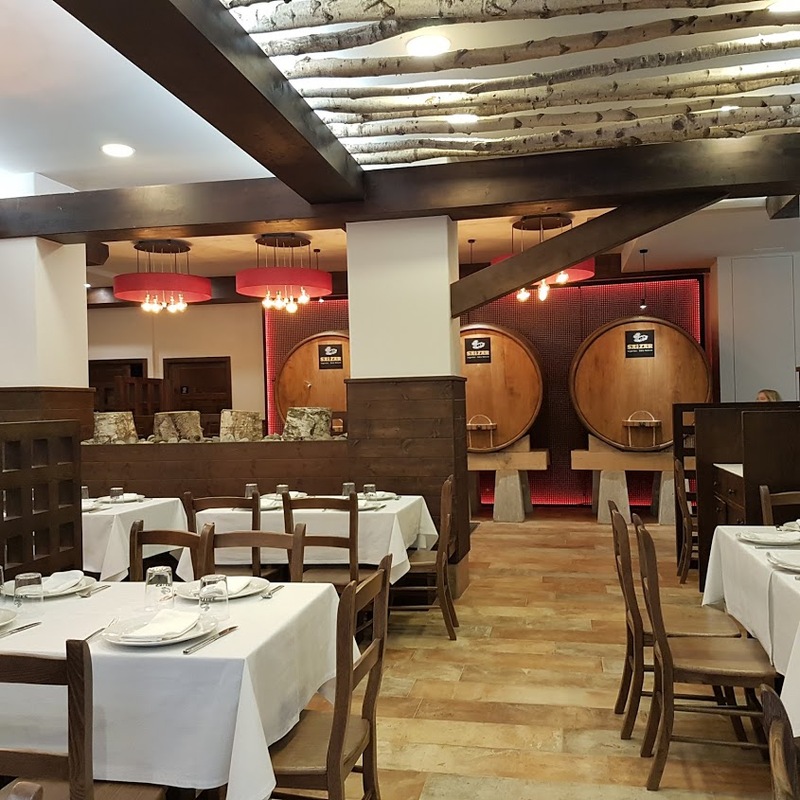 "We arrived at the restaurant on recommendation by the receptionist of the hotel we were staying at and we were delighted. All four of us chose one of the menus. Since 3 of us had chosen bone-in ribeye steak, they suggested that we change the individual ones for a larger one to share. And they were right, fine quality beef, perfectly cooked..."
"The menus are very good and the price is very reasonable. The meat is excellent. 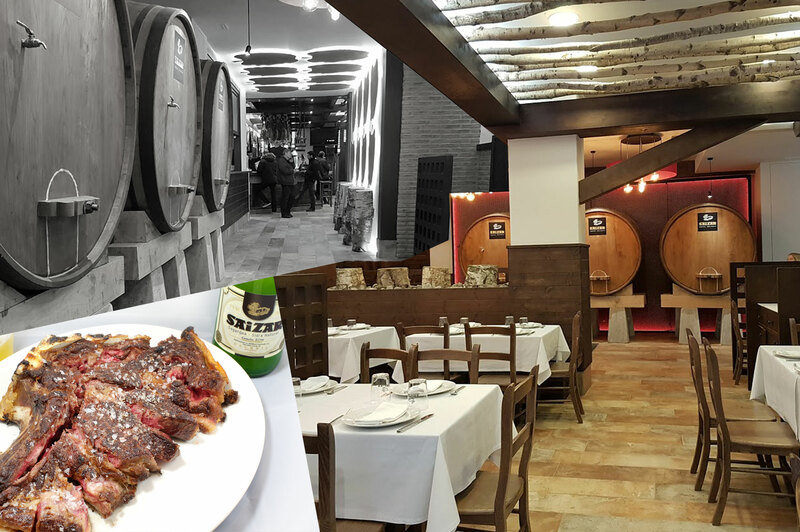 A place to have a good cider house menu without leaving San Sebastián; I liked the quality and flavour of the meat better than at some of the typical cider houses."